Paul Hoffman (Rotary Club of Brevard, NC-USA) – "Rotary Geek"
One doesn’t have to be a long-term member of Rotary to earn the nickname “Rotary Geek.” Some people see the big picture must faster than others. One such person is Paul Hoffman, who has been a Rotarian for less than four years. In his “real job,” Paul is an executive with the Girl Scouts in Western North Carolina, but his “other job” is as a staunch advocate for community service through Rotary International. After visiting one meeting, he was hooked. Good thing, since he was almost immediately asked to serve in leadership roles in his club and district. 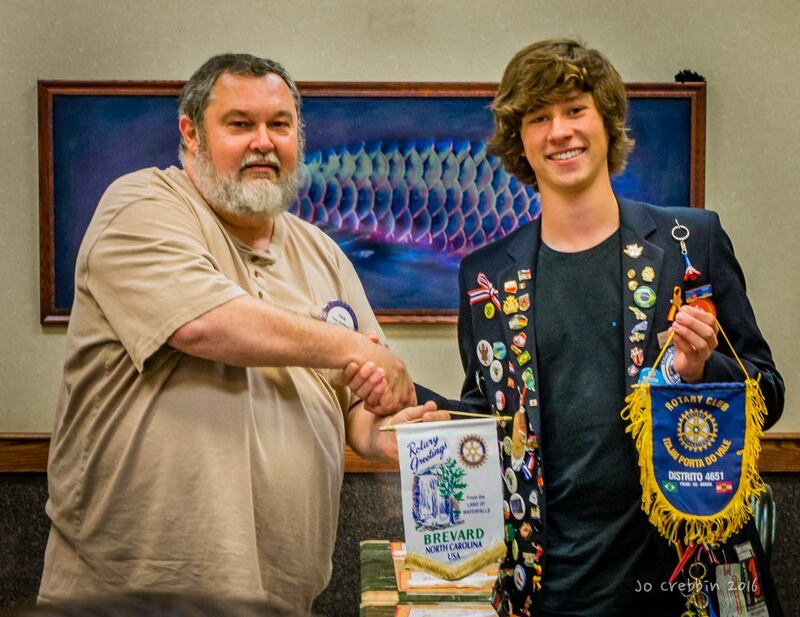 Inducted in August 2013, Paul served as president of the Rotary Club of Brevard in 2015-16, has coordinated his club’s three fundraising races, and has now taken on the role of Youth Protection Officer and RYLA Coordinator for District 7670. These are just a few of his responsibilities. One of his club’s pet projects, Back Pack Buddies, quickly became one of Paul’s favorite activities. “Throughout the school year, the backpacks of food are delivered to the schools and you never see who receives them. But during the summer, you deliver the food to the children’s homes,” Paul explained. “It’s an eye-opening experience to see the living conditions of some of these children and to hear the excitement in their voices when they receive their food.” He called it “gratifying and extremely heart-warming” to know a child has something to eat and to see the emotions and tears of parents and grandparents receiving food. Paul is known for encouraging others to join Rotary so they can in the gratification of making a difference around the world. In fact, in his short Rotary career, he has already sponsored his wife, Candy, and his son, Gabriel, as new members in his club. The three of them can often be seen serving their community together, and they are always the first to volunteer at district events. 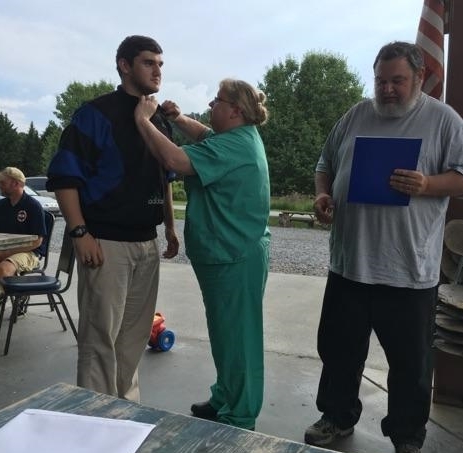 He was recognized as his club’s Rotarian of the Year in 2015 and is a Paul Harris Fellow +2. “Being a Rotarian means that ‘Service Above Self’ is a way of living and not simply a tagline,” said Paul. “It means to graciously serve your community and live by the Four Way Test.” No one exemplifies that statement more than Paul Hoffman. 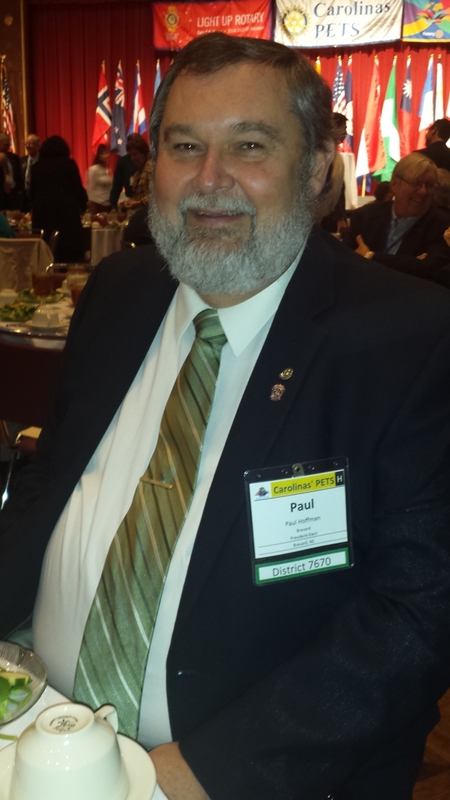 **Paul hopes to attend his first-ever international convention this summer in Atlanta. He is active on social media and can be reached at rangerpaulhoff@aol.com.